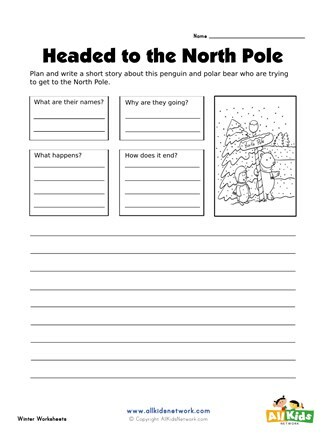 This winter themed worksheet gets kids to plan out ideas about their story before they write it. 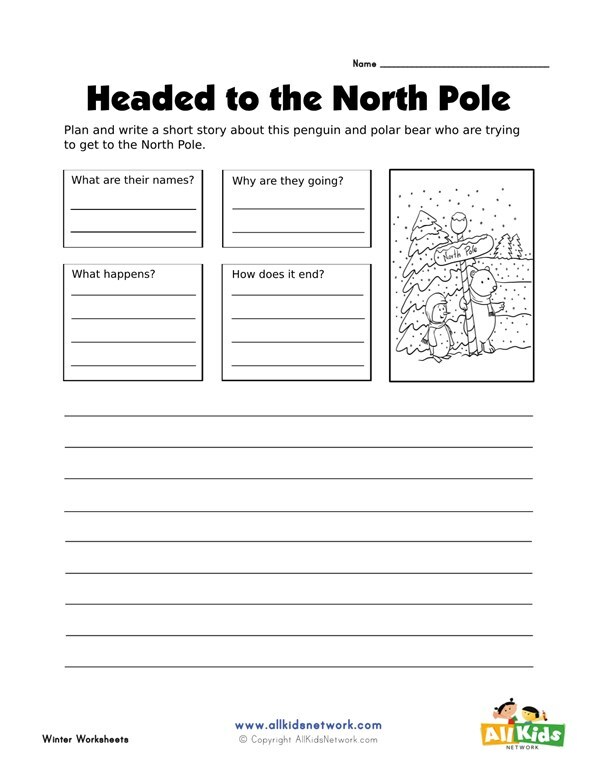 The picture in this worksheet is of a penguin and polar bear next to a sign that reads “North Pole”. Children are instructed to answer some basic questions to help plan the story and then they can use the rest of the pages to write a short story.